September 8, 2017 at 4:54pm . Congress has begun to hold hearings on changes to the ACA as part of their long agenda to repeal-and-replace the law. We must remain engaged and hold them accountable to our patients. Call your Representative and Senators and urge them to find a solution to DACA for patients and medical students who rely on the program. Governors across the country are calling on Congress to ensure Cost Sharing Reduction (CSR) are fully funded to help consumers afford coverage on the individual market. Call your Governor and ask them to raise awareness on the need to stabilize rates for your patients. Ask your Representative and Senators to extend the funding for Children’s Health Insurance Program (CHIP), which is set to expire in various states. The Administration has cut open enrollment funding substantially, and it is up to us as advocates to raise awareness. Let's make sure our patients are aware that open enrollment begins November 1 and lasts through December 15,2017, for the 2018 coverage period. Click here for more information. This past week the Senate health committee convened to discuss the path forward for stabilizing the federal health insurance marketplaces. The potential bipartisan solution would continue cost-sharing reduction payments to insurance companies and allow states the freedom to relax some insurance requirements in the Affordable Care Act. A group of bipartisan governors from five states testified before the Senate committee, in addition to a coalition of health industry and business leaders who called upon Congress to finance federal subsidies to insurers for at least two years. All governors also asked Congress to create a temporary "stability fund" federal reinsurance program and generally supported greater flexibility for states to govern their own insurance program, calling for changes in the 1332 state innovation waiver program. Despite recent progress to shore up the exchanges and fund cost-sharing reduction payments, Anthem announced that it will exit Obamacare markets in half of the counties in Kentucky next year, leaving many individuals with only one insurer choice. The insurer, which sells insurance under the Blue Cross Blue Shield brand in 14 states, explained that though they are pleased steps have been taken to address long term challenges, the "individual market remains volatile." Similarly, Virginia insurer Optima also announced that it will exit 63 of the state's 95 counties, leaving 62,000 people without a marketplace option and reigniting Obamacare's 'bare county' problem once again. As Congress works to stabilize the individual insurance market, and meet a number of other urgent legislative deadlines by the end of the month, another health reform proposal resurfaced this past week and has garnered backing from the President. Senator John McCain (R-AZ, one of three who voted 'no' on the failed repeal-and-replace proposals has expressed support for the Graham-Cassidy effort, so long as it follows the traditional legislative process and not reconciliation. The bill from Senators Lindsey Graham (R-SC) and Bill Cassidy (R-LA) would convert Obamacare spending into block grants for states to decide their own health insurance systems, and is another reconciliation attempt to replace the Affordable Care Act. Congress also has until September 30to renew the Children's Health Insurance Program (CHIP), which currently provides health insurance for about 9 million lower- and middle-income children whose families earn too much to qualify for Medicaid. Lawmakers are considering both the duration of re-authorization, whether any other measures will be attached and whether to continue enhanced federal matching funds that were first included in the Affordable Care Act. The Administration has also cut spending on advertising and promotion for enrollment under the Affordable Care Act by 90%, from $100 million under the Obama administration to $10 million. The administration also shortened the open enrollment period for individuals seeking insurance on the federal exchange, now lasting just over one month from November 1 to December 15. New York is voluntarily extending its open enrollment period beyond the federal deadline, for a three-month period that will last through January 31, 2018. Activists are responding to this enrollment challenge with increased fundraising and organizing efforts to embolden ACA outreach and encourage people to sign up for health coverage. 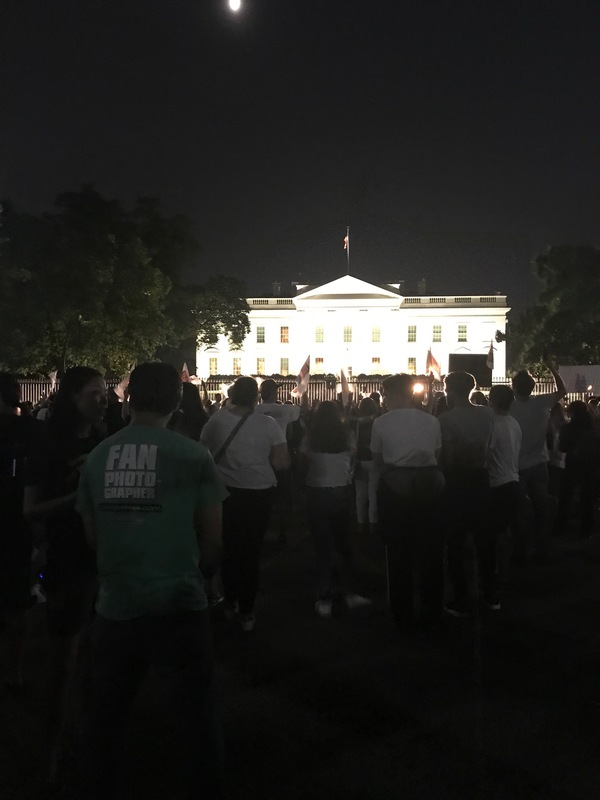 Lastly, the administration announced the end of the Deferred Action for Childhood Arrivals (DACA) program—an Obama-era program that shielded young, undocumented immigrants from deportation. National medical groups have spoken out against this decision, warning that this could exacerbate the physician shortage in the United States, and have severe consequences for many in the health care workforce. The American Medical Association and other major medical societies issued a letter to Congressional leaders denouncing this decision, also expressing that "many Dreamers will avoid seeking health care in order to reduce the risk of detection and deportation." DFA held a membership call with Andy Slavitt and Harold Pollack to discuss what’s next for the ACA and administrative efforts to sabotage the law, including threats to withhold payments for Cost Sharing Reductions. DFA released a statement on the termination of DACA which runs counter to the values of the organization. DFA signed a letter with nearly 100 consumer, patient, & provider groups asking Congress to act to stabilize the market. The Drive for Our Lives bus rode into Boston, Massachusetts where Dr. Destiny Tolliver, a pediatric resident spoke about protecting our patient's access to high-quality medical care. Medical student and DFA-Mt Sinai leader James Blum spoke at the Drive for Our Lives bus stop in NYC. Drs. Katherine Scheirman and Bruce Rector helped to organize the event which was also joined by Dr. Thandeka Mazibuko. Congressman Joseph Crowley (NY-14) and members of the group Little Lobbyists also spoke. Drs. Deb Lonzer and Dena Margolis joined the bus stop in Cleveland where they spoke about the about the dangers of rolling back critical coverage and protections under the ACA. 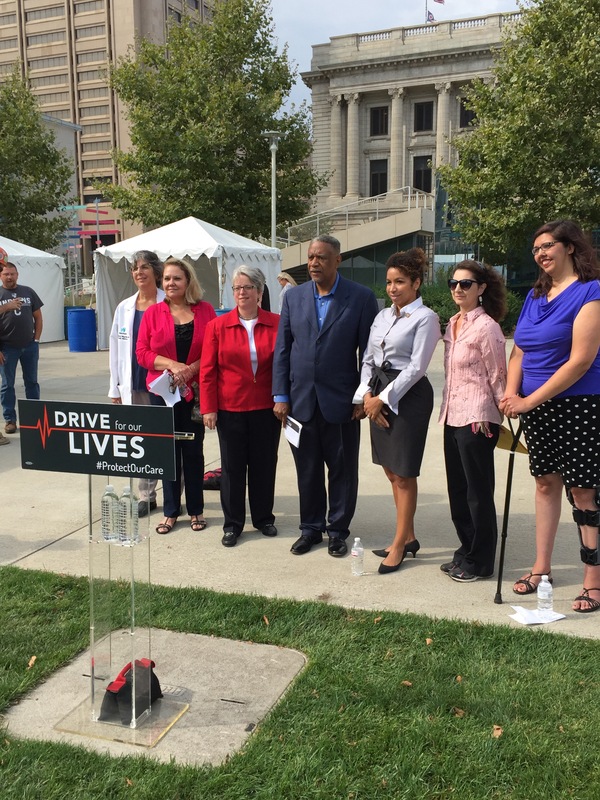 Dr. Matthew Noordsij-Jones proudly spoke alongside former HHS Secretary Sebelius at the Drive for Our Lives stop in Dayton, Ohio. Dr. Mara Divis, a family physician, spoke at the bus stop in Janesville, Wisconsin about the importance of promoting health communities. Dr. Mark Rood, a leader of the Prescription Drug Pricing, Value, and Affordability Campaign, spoke before a group of over 100 Ohio voters on the impacts the current ballot measure “Drug Price Relief Act” could have on prescription drug prices in the state. DFA board member Don Mathis and DFA staff member Jose Tapia joined the candle light vigil put together by Fed Up! - urging the Administration to increase funding for opioid addiction recovery.